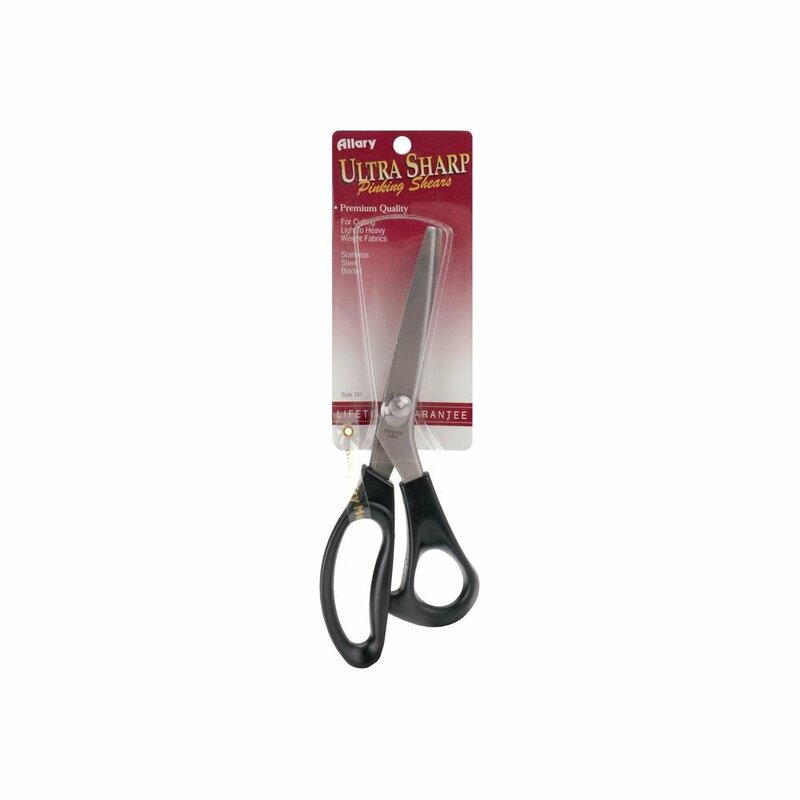 ALLARY-Ultra Sharp 9 inch Pinking Shears are premium quality for cutting light to heavy weight fabrics. Use for putting finished edges on fabrics, seams and various craft projects with a zig-zag design which helps prevent unraveling. Contour lightweight black handles for comfort. Stainless Steel Blades.